11'' Wooden Candlestick29/32'' Candle HoleSold in lots of 1. As low as $2.70 per lot. ..
2-1/4” X 2-5/8” candlestick7/8'' Candle HoleSold in lots of 5. As low as $4.90 per lot. 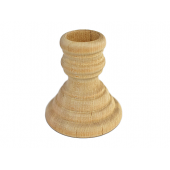 1 ..
3'' Wooden Candlestick1/2'' Candle HoleSold in lots of 25. As low as $11.25 per lot. 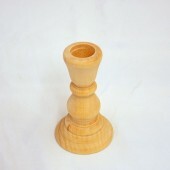 ..
4'' Wooden Candlestick29/32'' Candle HoleSold in lots of 5. As low as $5.80 per lot. 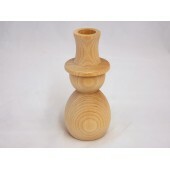 ..
6 3/4'' Wooden Candlestick29/32'' Candle HoleSold in lots of 1. As low as $1.75 per lot. 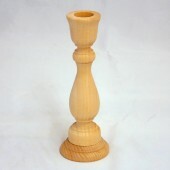 ..
9'' Wooden Candlestick29/32'' Candle HoleSold in lots of 1. As low as $2.30 per lot. ..